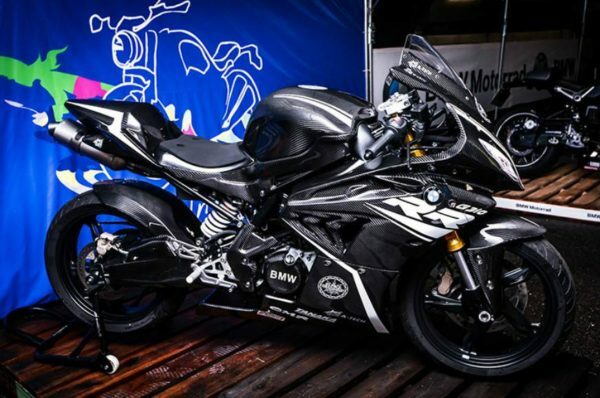 The BMW bike world follows a simple nomenclature, the suffix RR is given to its track ready monsters. The latest addition to their family, the 310 series, is yet to receive the ‘RR’ treatment. 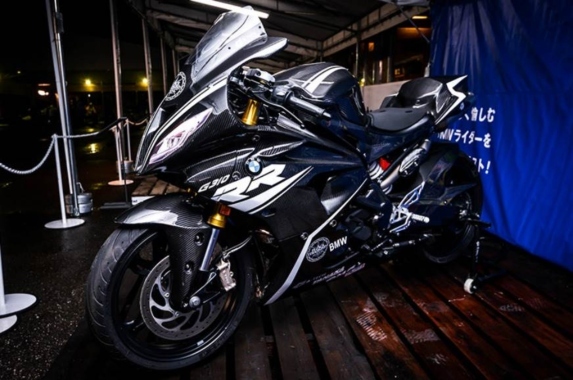 However, at the BMW Motorrad days in Japan, the company showcased what appears to be a concept version of the G 310 RR. 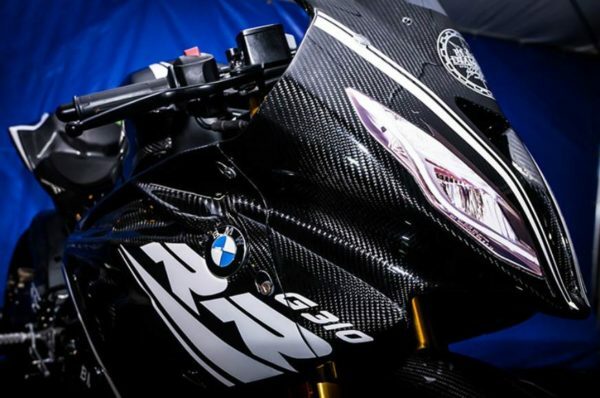 The bike showcased has been given loads of carbon fibre to keep the weight low, something that is also seen on their HP4 Race bike. The baby super sport bike borrows styling cues from its elder sibling, the S 1000 RR. The asymmetrical headlight unit makes it look like a baby S 1000 RR ready to abolish the race track. The bike would use the same engine found in the G 310 R and the G 310 GS. The single cylinder unit could however be tuned to produce a bit more power for track use. The concept also showcased low clip on handles and rear set foot pegs for a more aerodynamic and dedicated riding posture. Other changes include a new under-seat exhaust, which is not seen on many bikes today. The wheels, suspension and brakes on the concept have been carried from the G 310 R.
Although the concept looks very appealing, we expect it to carry major changes when brought into production. The 300 cc segment is very price sensitive and the use of expensive carbon fibre will make the bike quite costly. We also expect changes in the ride set up to make it more usable on the road. Expected to be available in the second half of 2019, the G 310 RR will go against the likes of KTM RC 390, Kawasaki Ninja 300, Benelli 302R, Yamaha R3 and its own sibling, the TVS Apache RR 310.